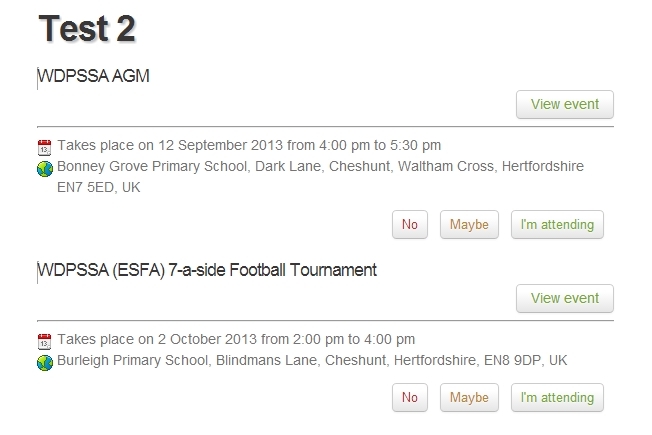 Sometimes you may just want to show a list of your upcoming events on a page or article. The above shortcode is configurable to look ahead or look behind, and you can also configure the date range you wish to use. 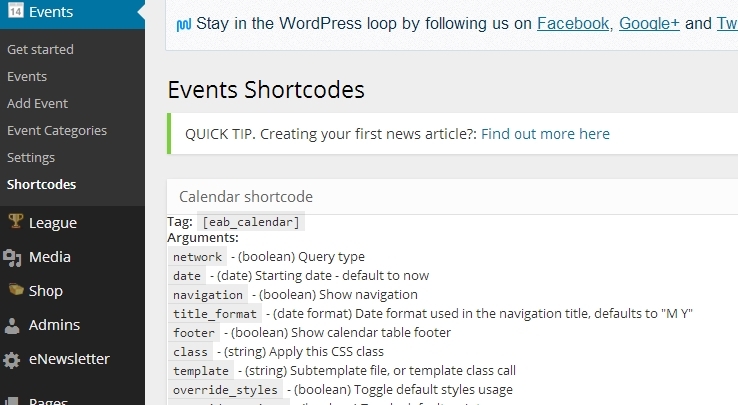 If you are interested in using other calendar shortcodes they can be found in the Events>Shortcodes page on your dashboard.